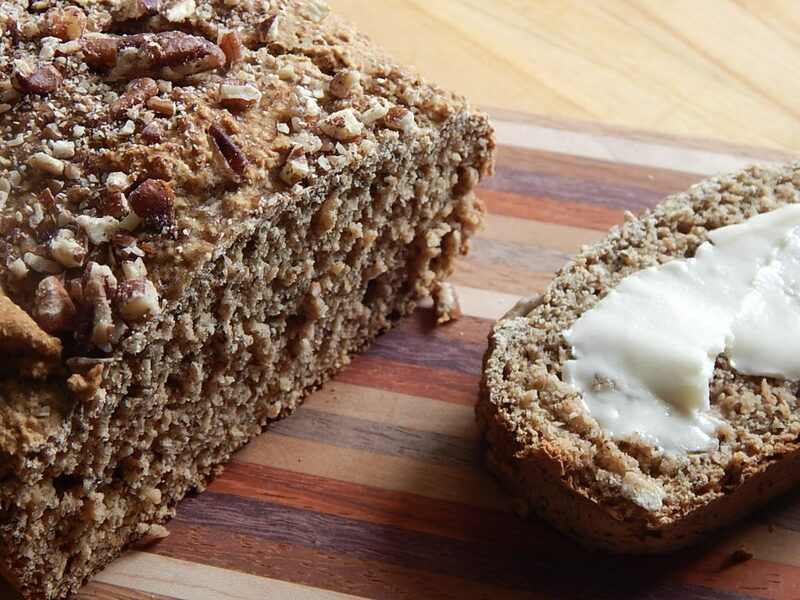 Banana bread is great for a snack, breakfast or even dessert. 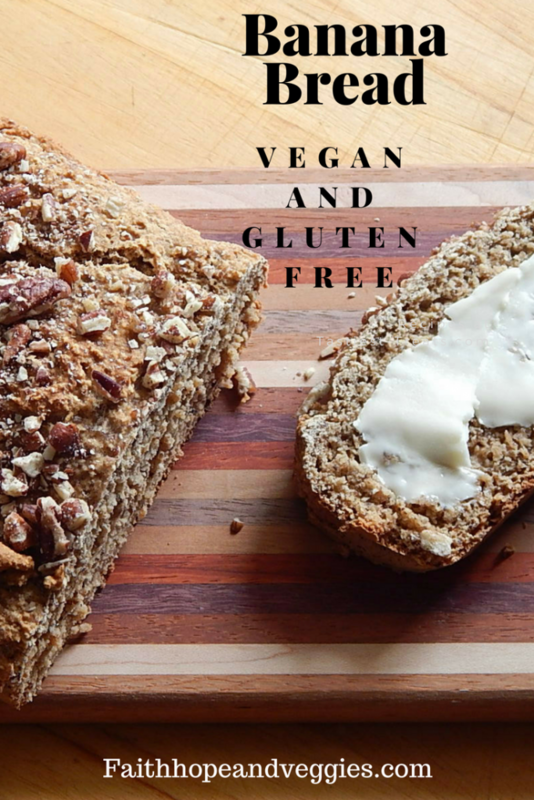 This is an easy gluten free recipe that you can change up however you want. 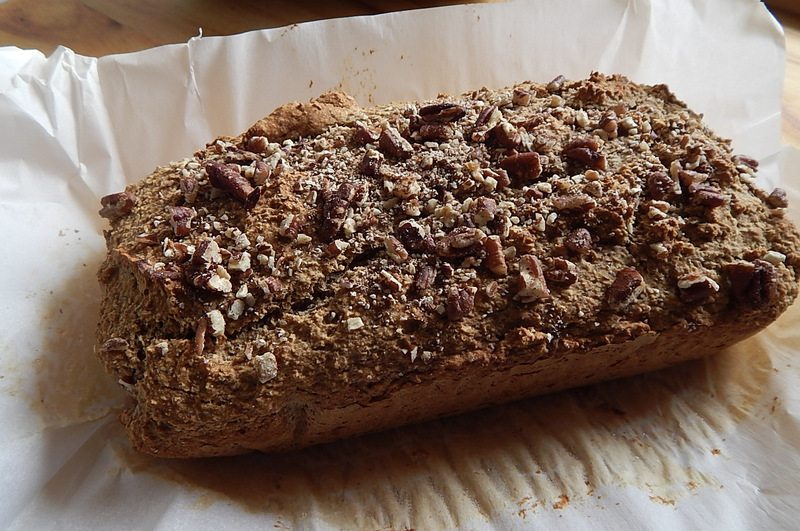 Add in your favorite nuts, dried fruit or chocolate chips. I think this is my favorite way to use up bananas that are getting a little too ripe. Sometimes I even hide bananas just so I can get some ripe enough to bake with. I love to bake and I am always trying to remake some of my older recipes a little healthier and gluten free. 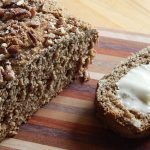 This banana bread recipe uses mostly oat flour. I make my own by grinding up oats in the food processor or blender. Just try to get the oats as finely ground as possible. Preheat the oven to 350 degrees. Grease a bread pan or line it with parchment. Mash the bananas In a large bowl or the bowl of a stand mixer. Once the bananas are mashed very well mix in the vanilla and the sugar. Add about half of the dry ingredient mix into the wet ingredients. Mix on low speed then add half of the milk and mix. Repeat with the remaining dry mix and the milk. Mix it until it is just incorporated. Stir in the nuts if you are using them. Pour the batter into the prepared bread pan. Sprinkle with a few additional nuts (optional). Bake for 35-40 minutes.